Scholars are the driving force behind the scientific and social progress of humanity. Even though this statement sounds very grandiose, it is not untrue.The “makers of knowledge” have been throughout the centuries the most revered, respected social castе. They are behind the discoveries of the wonders of technology and science and we owe the world we live in to them. The number of scholars has exponentially increased over the last centuries, but their social stature has somehow declined. Academic research and publication have moved to the fringes of the public attention. 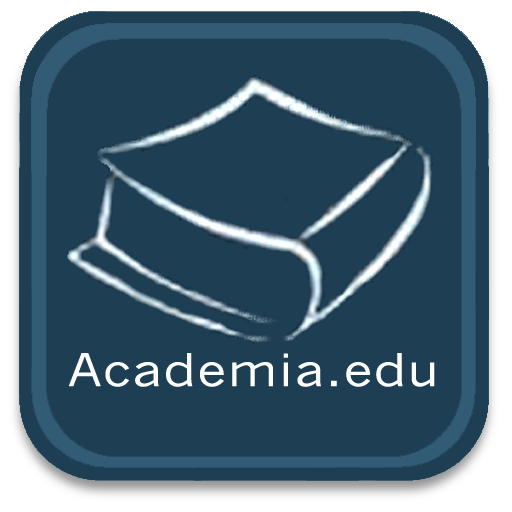 Academia.edu aims to change that. The website is primarily aiming at two things – to enable scholars to connect and communicate in a network and to allow the large audience of the internet to freely browse and read their publications. It does both well so far, but one big question looms over its idealistic future. How to make a sustainable model out of a free service? At the moment Academia.edu has ramped up 315,000 unique monthly visitors and 6.7 milion dollars of venture investment. Despite the good numbers, the platform still lacks any sort of business model and monetization plan. So, in the debate of open access to knowledge, the sustainable future of such a platform should be of significant importance. Academia.edu needs money in order to stay active, even if the scholars themselves adopt the approach of “giving their work away” (as Kathleen Fitzpatrick describes the idea of a researcher repaying taxpayers by sharing with them the fruit of their investment). And even if the whole world puts the ideals of “values” ahead of the ones of “profit”, the website’s hosting and maintenance costs won’t go away. Specialists have already dismissed the usual suggestions of advertising-based revenue, saying that unlike “regular” social networking, academia (where new publications in a given field come out months apart) doesn’t generate massive daily interest, and so even the most innovative of advertisers will remain sceptic. A more reliable idea would be to monetize a service that connects employers with researchers. The link between business and academia still hasn’t found it’s special place on the internet, despite LinkedIN’s efforts to capture this market. Such an approach would benefit, directly or indirectly, both the platform and its most prominent researchers. Should open access publication follow the rules of the free market economy? If Academia.edu really does find a sustainable model, one big question remains. Is this the right way to make knowledge freely available? Does scholarly work need the “help” of a third-party, for-profit company in order to reach the eyes and minds of internet users? Or is a centralized archival non-profit structure a better, more appropriate solution? Fitzpatrick believes that since market rules don’t apply to academia, it correspondingly shouldn’t approach the open access publishing idea with the “crutches” of commercial companies. She states even if the costs for academic publication are still there, for its reproduction online they are practically non-existent, and so a non-profit model that only aims at “breaking even” would be ideal. No matter in which direction academia decides to develop the open access publishing of its work, the reader will benefit from being exposed to what would have otherwise been an obscure material covered in a mist of prestige and exclusivity. And, as Dave Parry rightly has noted, “Knowledge which is not public is not knowledge”. « Open access: anyone can be a scientist?